BrowseInApp, a tweak that can open links in app without switching to Safari. It supports opening a website or store link directly in the apps that do not include a built-in browser, such as Mail, Messages, WhatsApp. You will no longer be redirected to Safari that will continuously consume memory on your device and slow it down until you manually close it. Image viewer: View and download image in the image viewer with zooming support. Theme: Include four browser themes (Default, Silver, Grey and Black). 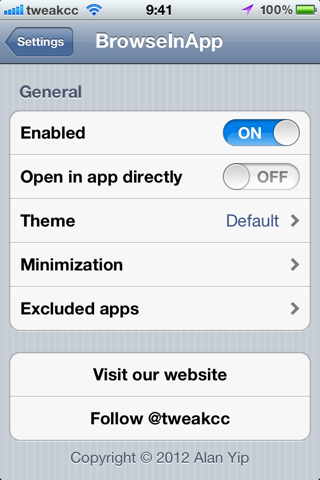 Excluded apps: Disable the functionality of this tweak in the specific apps. Get BrowseInApp now to save your time and avoid such annoying and slow method!